Any warrior on the field of battle, from the lowliest of foot soldiers to the most trained of knights, knew that protecting ones knees was important. And that is why many warriors chose to wear protections like these 15th Century Foot Soldier Knee Guards. 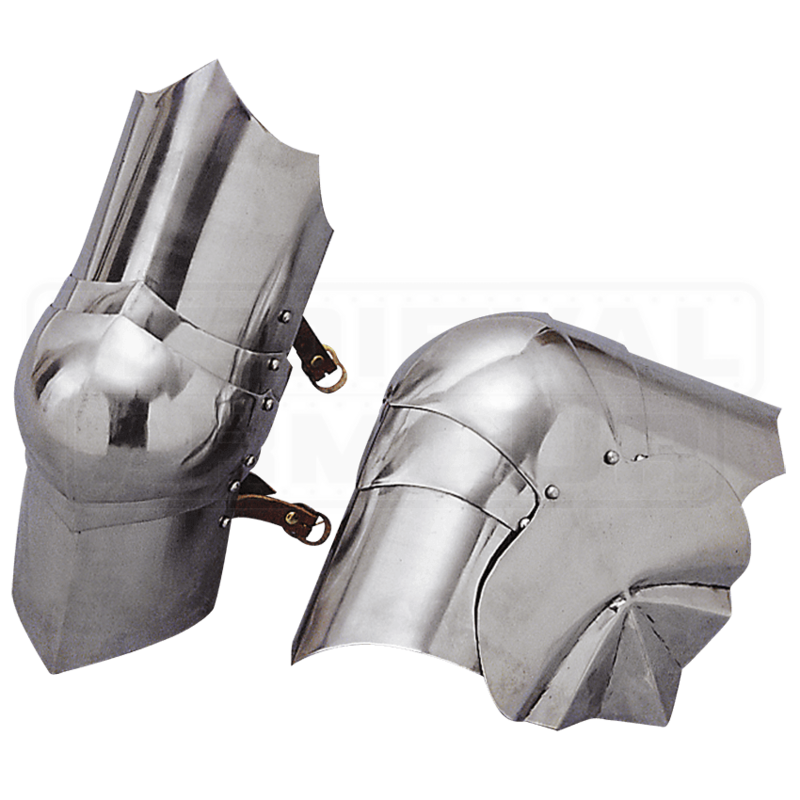 During the transition between mail armor to plate armor, the poleyn was one of the first pieces of armor to be developed, ensuring that the knees of any warrior could be well-protected (which ensured that a warrior would not be taken out by a low, sweeping blow to the legs). These poleyns, or knee protectors, are articulated pieces of armor that utilize plates of metal, arranged in such a way that when belted to the leg over the knee, they bend with the knee, providing protect that moves as you do. They are worn using leather straps with buckles, which go above and below the knee, while also featuring plated projections on the side that protect the side of the knee from blows as well. 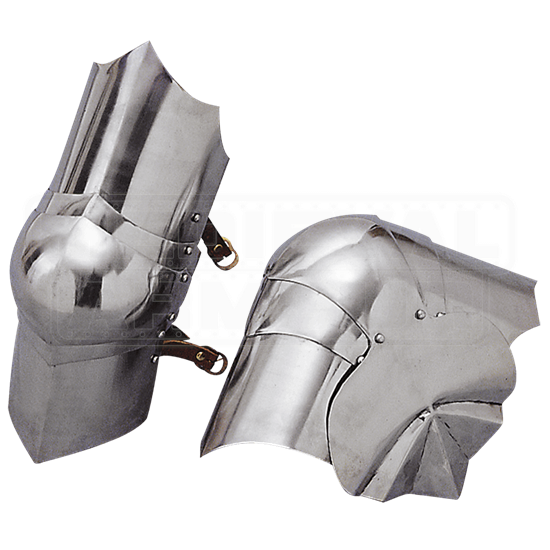 These knee guards are crafted from quality steel to provide a great degree of protection, as well as an authentic medieval look. Combined these 15th Century Foot Soldier Knee Guards with some padded leg protection or some mail chausses to give your legs all the protect they will ever need.